Even though it is April Fool’s Day… this is a friendly reminder that snakes are NO joke. This striped racer (California Whipsnake) was in Sycamore Canyon yesterday. The snake was holding on to the tree with its tail high and face low. This poor lizard was lunch. 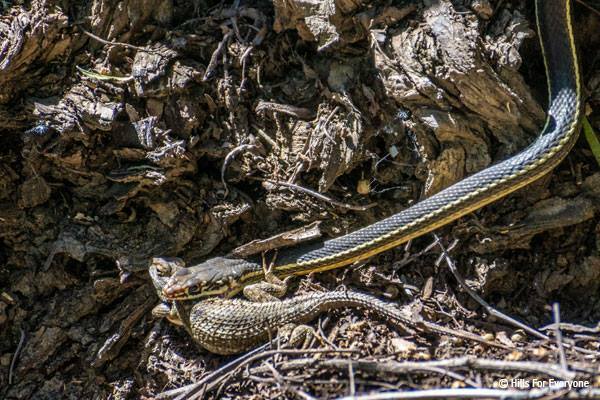 Always be mindful on the trails… we saw two snakes yesterday on the trails and it wasn’t all that hot out! Watch where you place your feet and only have your dogs on trails where they are allowed.